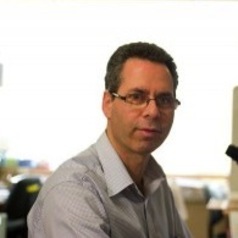 Professor Geoff Lindeman is Joint Head of the Stem Cells and Cancer Division at the Walter and Eliza Hall Institute of Medical Research and Clinical Director of the ACRF Centre for Therapeutic Target Discovery. He is also a medical oncologist and Head of the Familial Cancer Centre at The Royal Melbourne Hospital. He holds an appointment as Professorial Fellow in the Department of Medicine at the University of Melbourne. His laboratory is studying molecular regulators of normal breast development and cancer, with a particular focus on breast stem cells, the breast epithelial cell hierarchy and cancer. A groundbreaking discovery in 2006 on the generation of a functional mammary gland from a single stem cell has had an extraordinary impact on the breast cancer, mammary gland biology, and stem cell fields. His research efforts are focused on the characterisation of markers and regulators that could serve as novel therapeutic targets in breast cancer. His clinical activities centre on hereditary breast cancer and translational cancer research. He was awarded the RACP Eric Susman Prize in 2007 and the GlaxoSmithKline Research Excellence Award in 2008.